When Munin Cooper, known as the Witch of Oyster Bay, warns Olivia Limoges that death is coming, neither of them realize that it is the older woman herself who will soon be found dead. And Olivia's instincts tell her that something-or someone-more sinister than a mystical force is at play . . .
Olivia has a lot on her plate preparing for the Coastal Carolina Food Festival. When she hears the news of Munin's untimely death, however, finding the murderer takes priority. The witch left behind a memory jug full of keepsakes that Olivia knows must point to the killer-but she's got to figure out what they mean. With handsome Police Chief Rawlings by her side, Olivia starts to identify some of the jug's mysterious contents-and finds its secrets are much darker than she suspected. 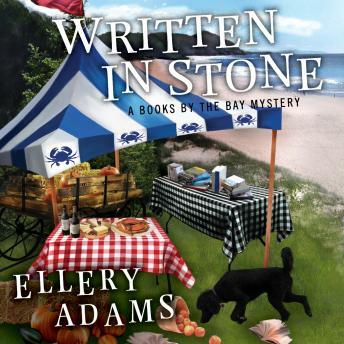 Now Olivia must enlist the help of the Bayside Book Writers to solve the puzzle behind the piece of pottery and put an end to a vengeful killer before any more damage can be done . . .